Joe's Ice Cream - Part 2! 24. Joe's Ice Cream - Part 2! What better way to bring in the Summer than with the best ice cream in Wales! 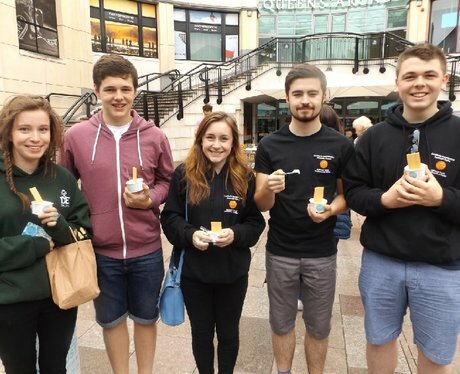 Capital are hitting the streets of Cardiff, armed with Joe's Ice Cream & a chance for you to win tickets to the biggest summer attractions! Did you get papp'd by the Street Stars? See the full gallery: Joe's Ice Cream - Part 2!